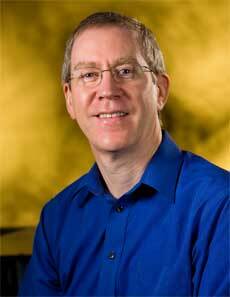 With Geomagic's acquisition of the Sensable business, my role in the company has changed from Vice President of Product Management to Vice President of the Sensable Group. This means that the focus of my world shifts largely to concentrate on the staff in our new Wilmington, Massachusetts office, the products they produce, the channel partners who sell those products, and the customers they serve. On a personal level, this is a big move - not just career-wise, but physically, as I'm permanently relocating from North Carolina to Boston. I will be trading in my place in suburban Morrisville for a view of the Charles River and a much longer commute. This is a change that I'm excited by, and I feel very lucky to have the opportunity. Having been closely involved in the due-diligence for the Sensable transaction, I had a pretty good idea of the unique and innovative nature of the Freeform and Haptics business. But what has struck me since the close of the deal is the high quality of the people in the Wilmington office. Geomagic has always been renowned for the quality of its people, both on a technical and business level, and the staff of the Wilmington office fit in perfectly to that ideal. The new office also brings an influx of creative and passionate new team members. Beyond their day-to-day work, we have people who are artists and modelers, competitive drivers and sports fans, dining aficionados and even an expert Lego builder. 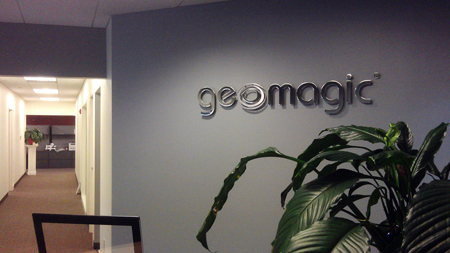 I've also greatly appreciated the enthusiasm and engagement of the new team during what has been a big change for them, during their transition into the Geomagic family. On a personal level, it has been great to feel so welcomed as I set up my new office. As I settle in, it is clear there is much to do. In the coming months, we have new versions of software to release, and some exciting new developments on the hardware side too. Naturally, we will continue to focus on our current customers and markets, both in the short and long term. But beyond that, I'm looking forward to integrating the Sensable product plans into Geomagic's long term business strategies. There are many synergies to leverage and new opportunities to pursue as we go forward as one combined company. It is too early to share much about the long term yet, but stay tuned for further news as it develops.